The coat of arms of the town of Zilina was first used on a document on the date of March 8th 1379. 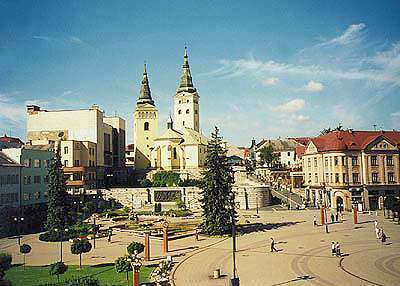 The town of Zilina is one of the most important towns in Slovakia. The reason is due to its strategic position at the confluence of the three rivers in Vah river valley. Zilina is also rich in history. Well regarded law and linguistic document of European importance is the ''Book of Zilina'', which originately began in the year of 1378. The first entry of the Slovak language, dates back to the year of 1451. On May 7th 1381, the governor confirmed the Slovak inhabitants of Zilina the same equal rights as the German colonists in a document called ''Privilegum pro Slavis '' (- Privilege for Slavs). In the following centuries, Zilina was an important center for handcrafts, products, business and education. Of more significance for development in Zilina, was the building of railways which caused further industrial development by the end of the 19th century. An important historical event was the declaration of independence of Slovakia on October 6th 1938. Since 1990 the town has been crossed through tumultuous developments. The town center, along with many streets and square have been reconstructed. Zilina is also constructing the ecological trolley bus public transit system from its own finances. 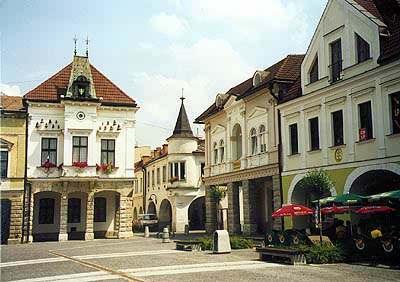 The importance of the town increased after the establishment of the Slovak Republic in 1993 and, impulsed further town development when the Zilina region was organized in 1996. Now, numerous industrial factories, high schools, and the Zilina University reside in the town today. Due to this location, Zilina is the gate way to several beautiful touring areas, such as the Mala Fatra range with the village of Terchova and the well-known Vratna valley. Near Zilina, is the Castle of Strecno and the Castle of Lietava as well as the Rajecke Teplice spas. The Church of the Holy Trinity - this Roman Catholic church belongs to one of the most significant monuments in Zilina, together with the Burian tower, it creates the most typical skyline of this town. The view of the two towers seen from Andrej Hlinka's Square, appear often on Zilina's postcards, pictures etc. The church was built around the year of 1400. The Zilina castle was assumed to be already there as early as the 13th century. The three naves of the church was originally in Gothic character, but after construction it was styled to renaissance character. The altar pictures are especially valuable. The church tower measures 51 metres high. Marianske Square, forms the heart of the town's monument preservation and was established in 1987. This town square's area measures out to exactly 100 x 100 metres, and there are nine narrow streets that form as an exit from this area. The characteristics of Marianske Square is its houses with shifted floors which form the arcades called ''LAUBNE'' by the local people. The inceptions of this square dates back to the year of 1300, the cellars in the houses are still kept in original Gothic style. In the heart of the square sits the statue of the Holy Virgin Mary (immaculty), which was placed there for the occasion of honoring Catholicism in the year of 1738. Also placed at the base of this statue is the statue of St. Florian, the patronate of firemen. Another highly respected building on the west side of the square is the St. Pauls church and the Jewish monastery. The first house on the east side of the square is Zilina's town hall, which has been reconstructed several times, the last time in 1890. In the town hall is the mayor's seat and the representative rooms. At the front of the town hall is its spectacular chime bells. 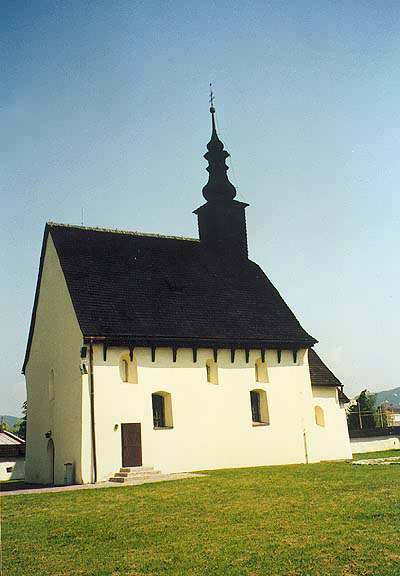 The St. Stephan's Church, is located in the ''RUDINY'' Borough and is the oldest architectural monument in Zilina. Experts declared the origin of this late Romanian style church was built between the years of 1200 and 1250. The church's adornments are especially precious, and the paintings on the wall date back approximately to the year of 1260. The church is protected by stone walls. During an archeological research in 1995, there was a discoverance of the remains of the Chapel of Divinity, from the 15th century. To the time of discovery there have only been written references proving the chapel's existence. Budatin Castle, is located at the confluence of the Vah and Kysuca Rivers. It was built in the 13th century and served as a guard / watch castle. The oldest part of the castle is the cylinder tower, it is 20 metres high with a diameter of 12 metres and its walls are 2 metres thick. 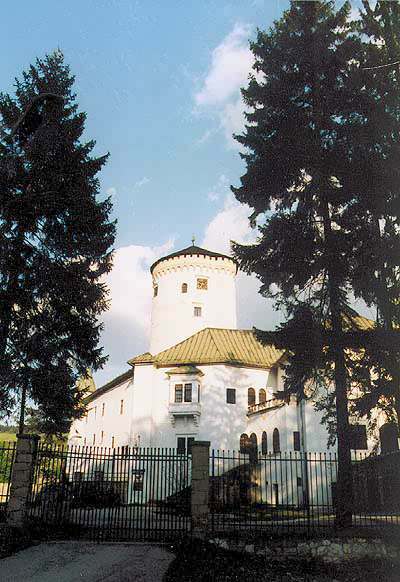 Today, the castle is the seat of the Museum of Povazie, specialized for the history and archeology of Zilina. The uniqueness of Zilina is their "tinker" exhibition, which is the only one of this type in the world.